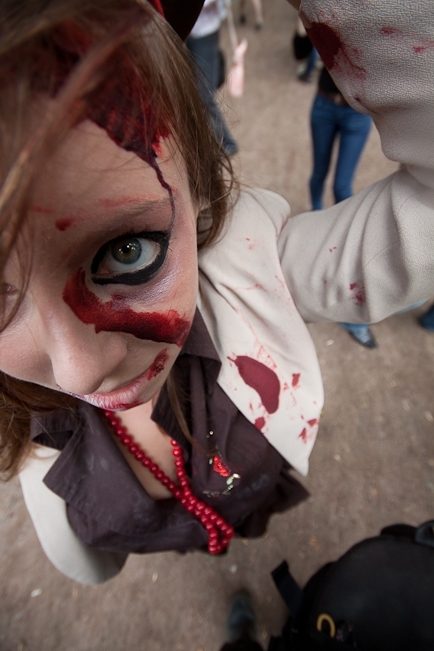 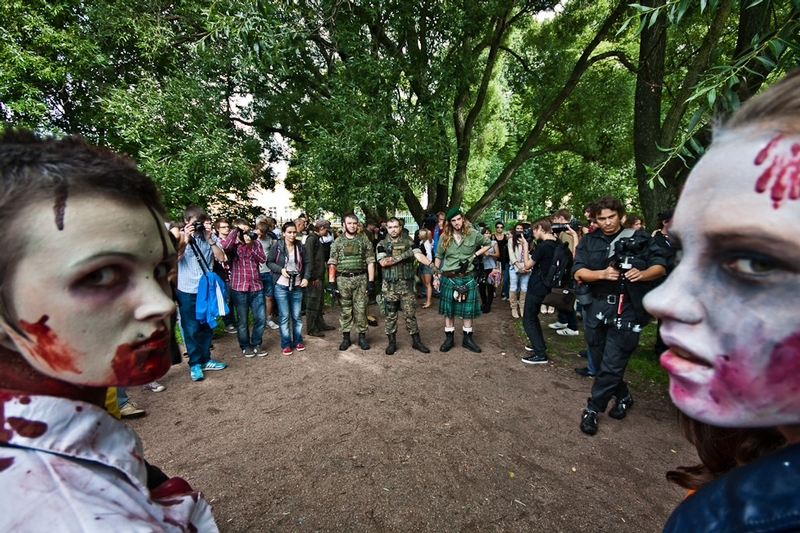 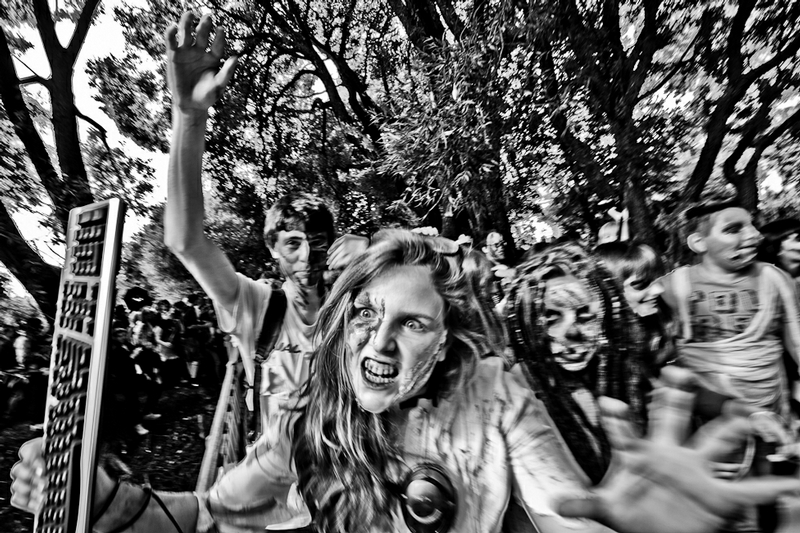 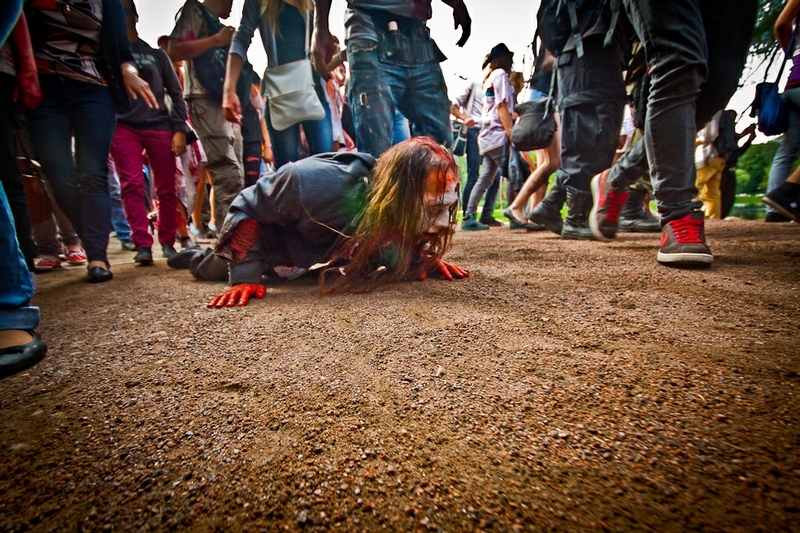 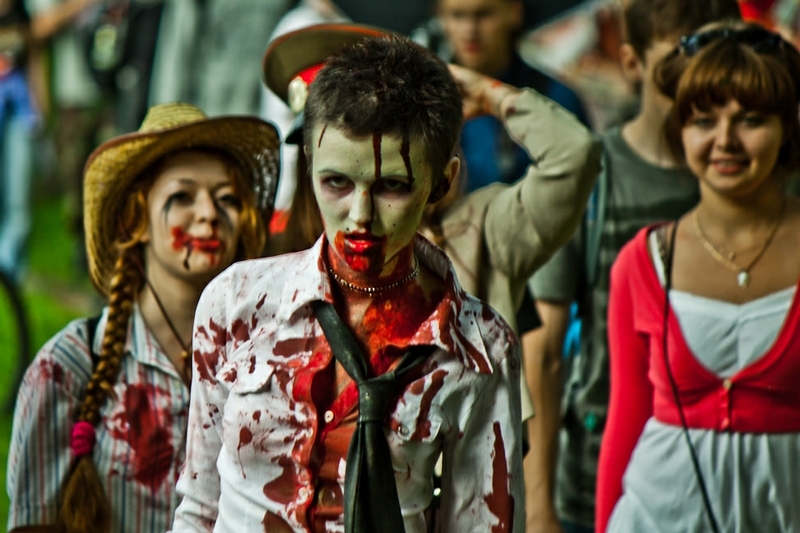 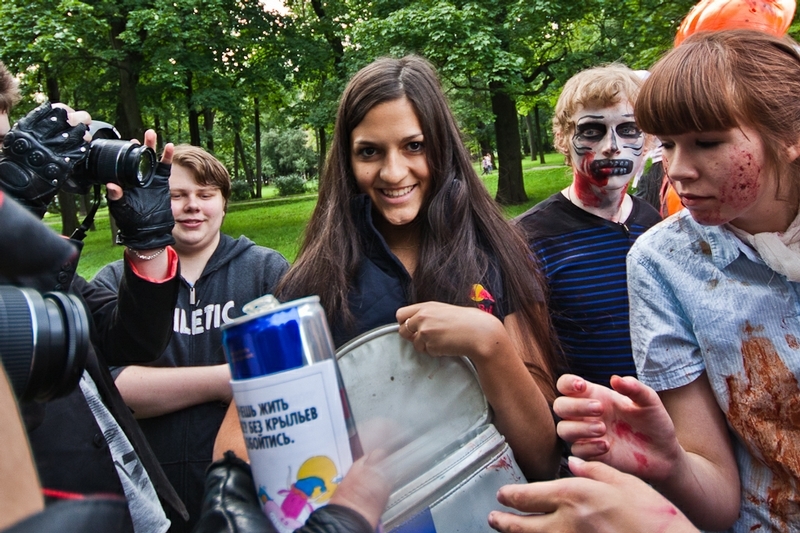 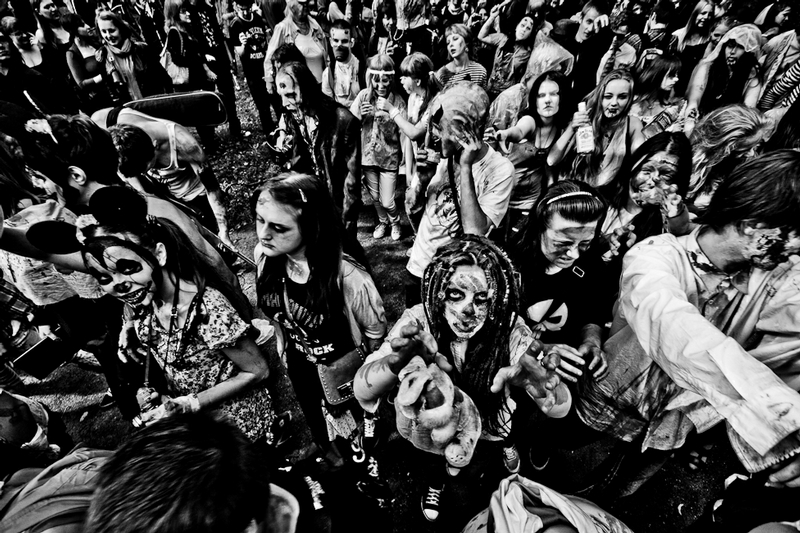 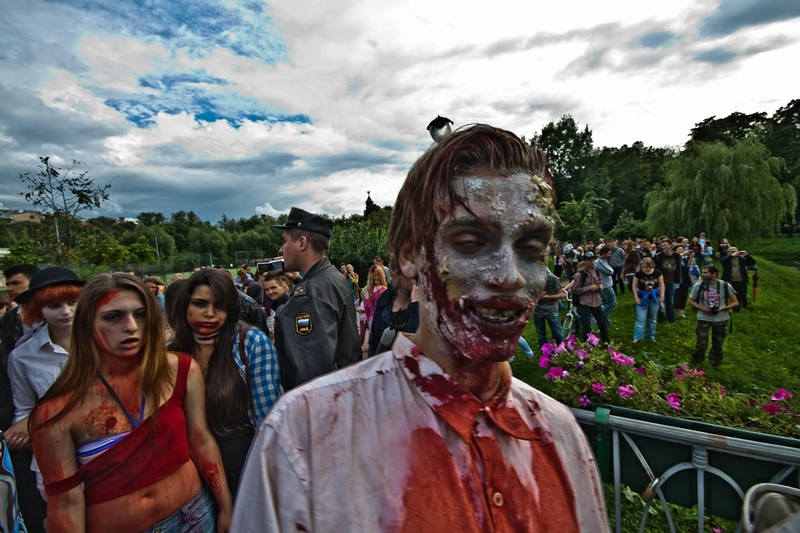 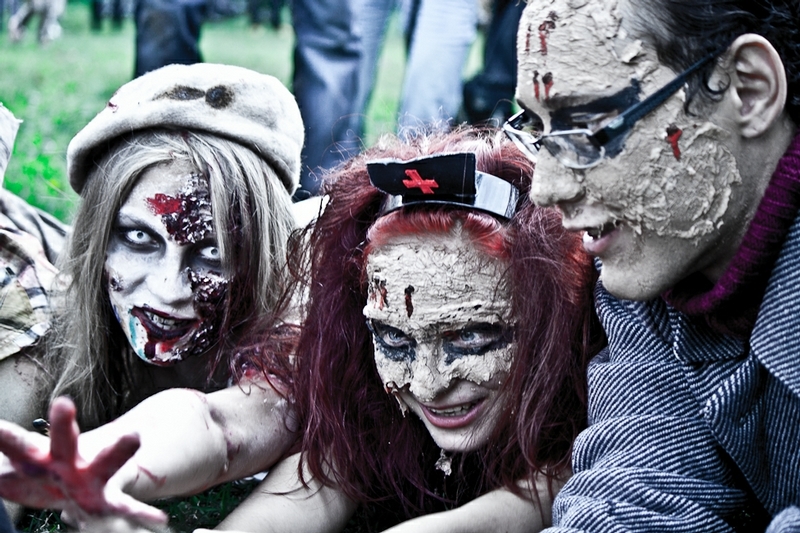 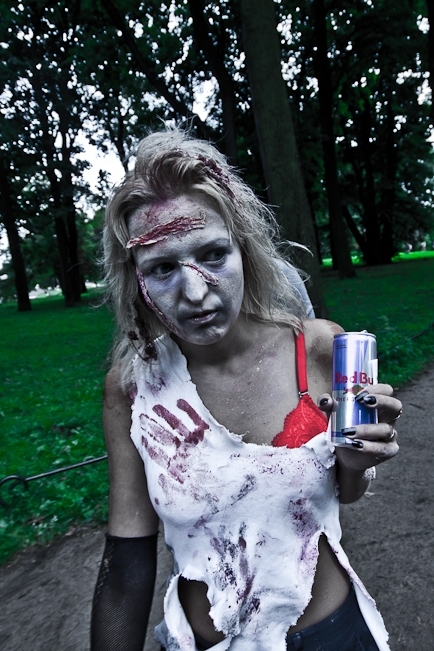 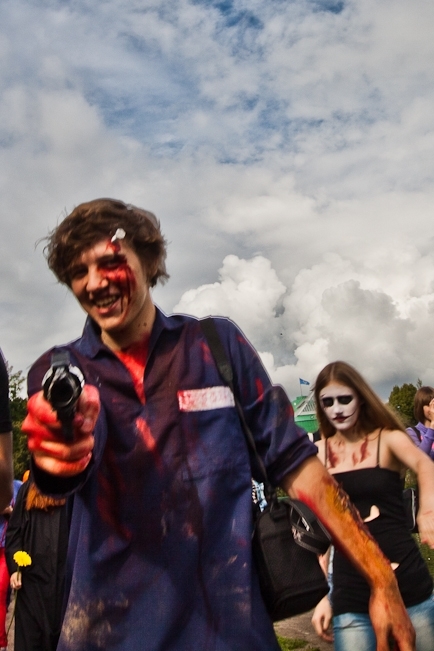 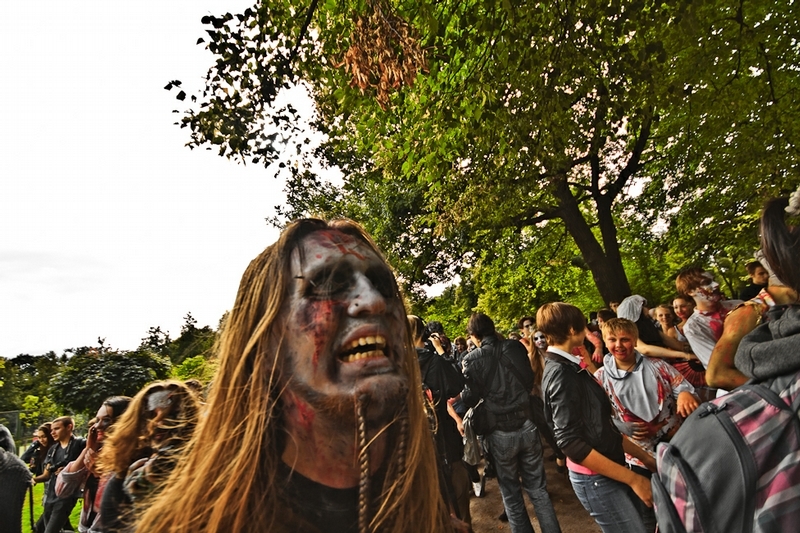 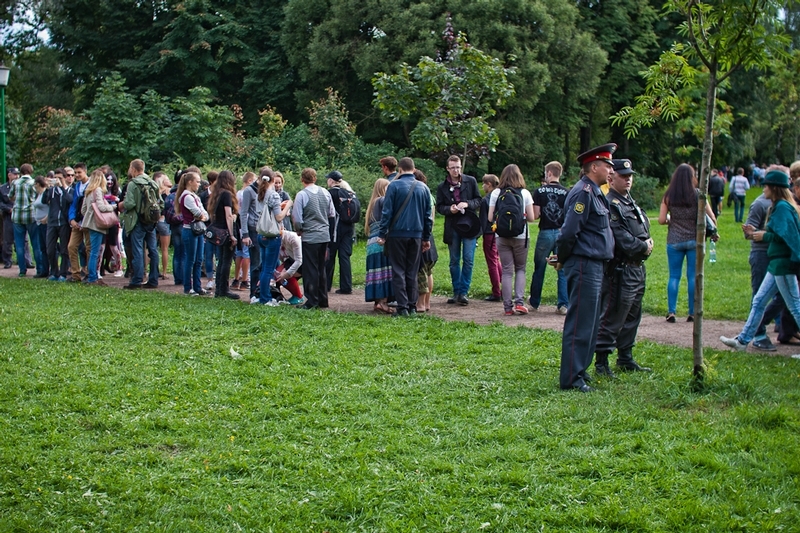 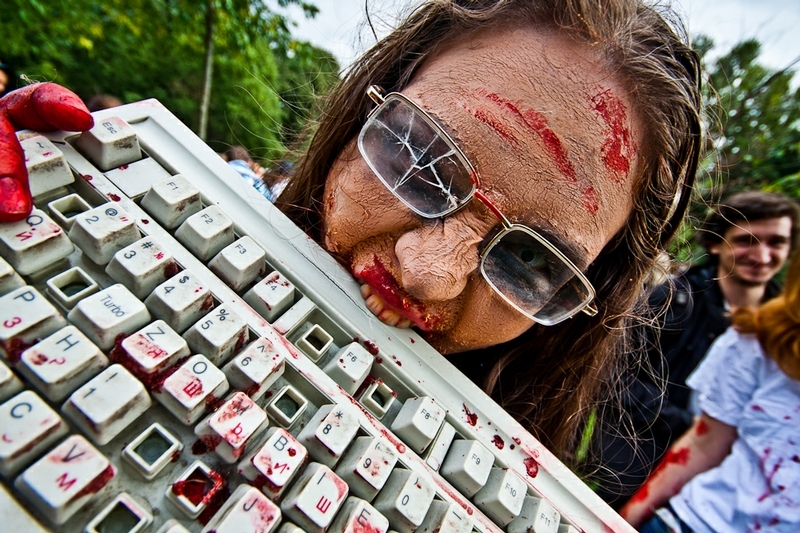 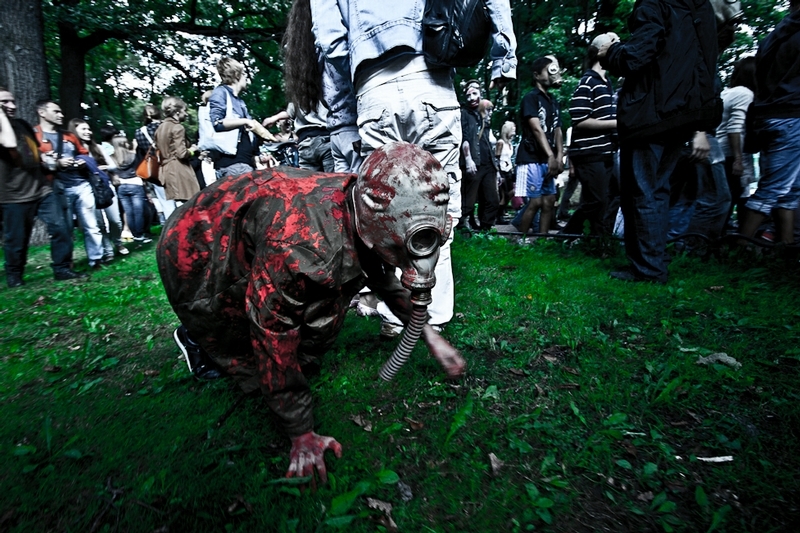 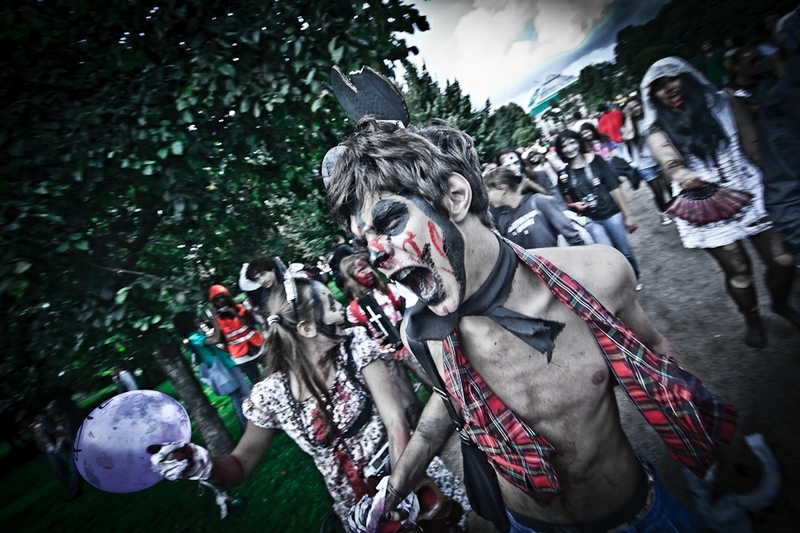 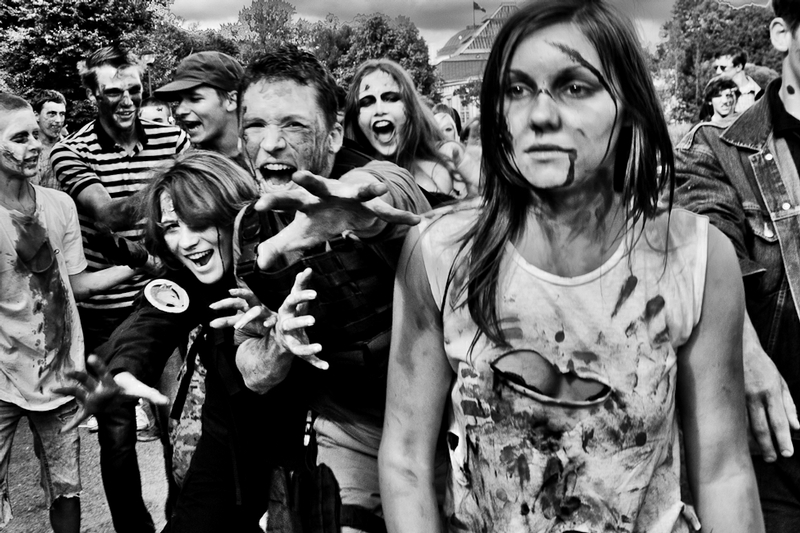 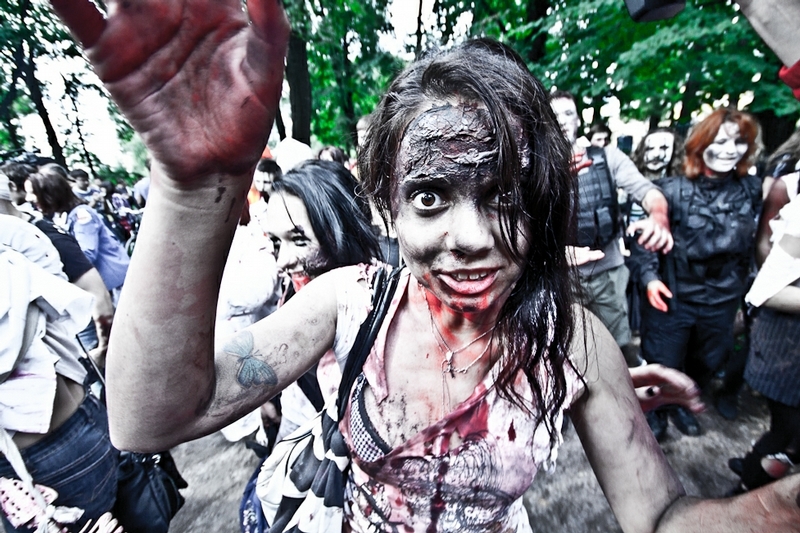 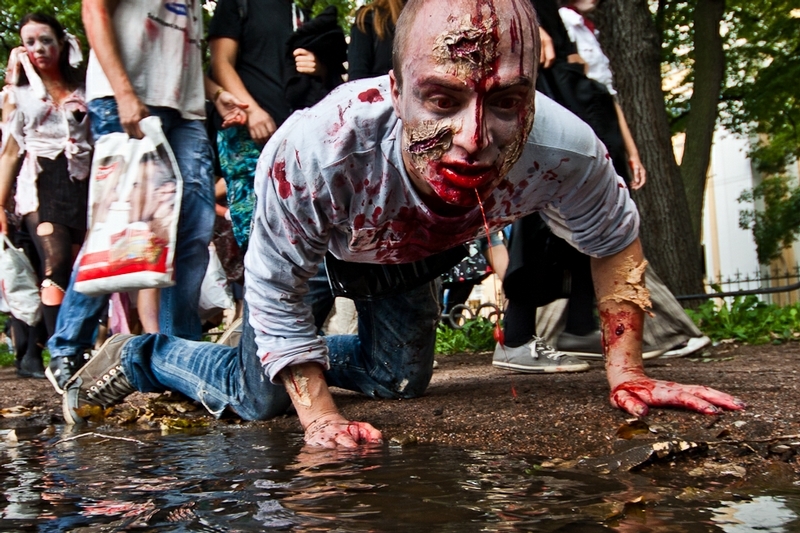 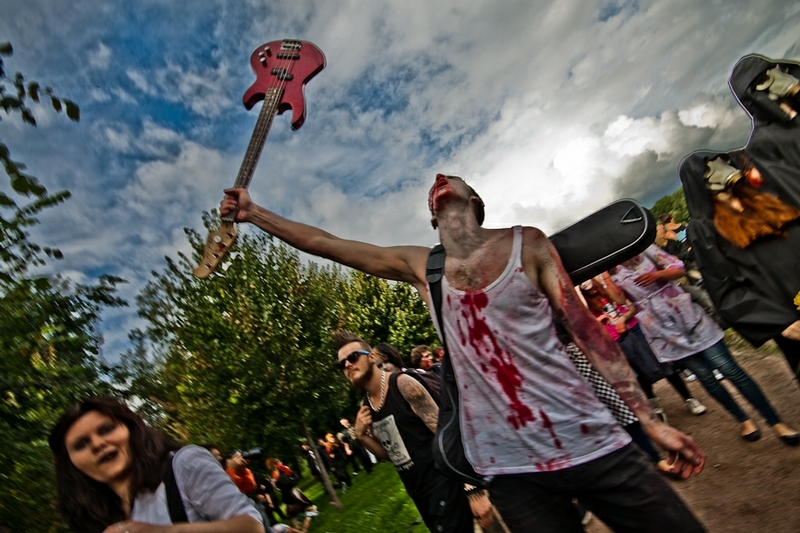 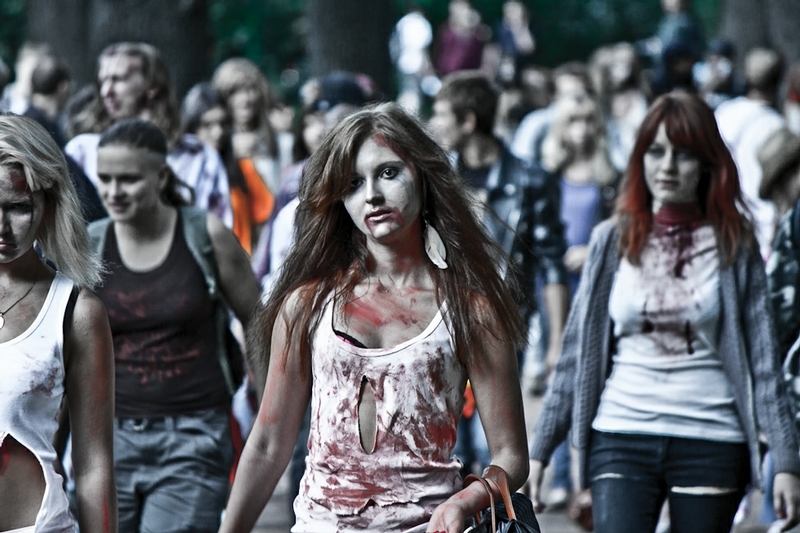 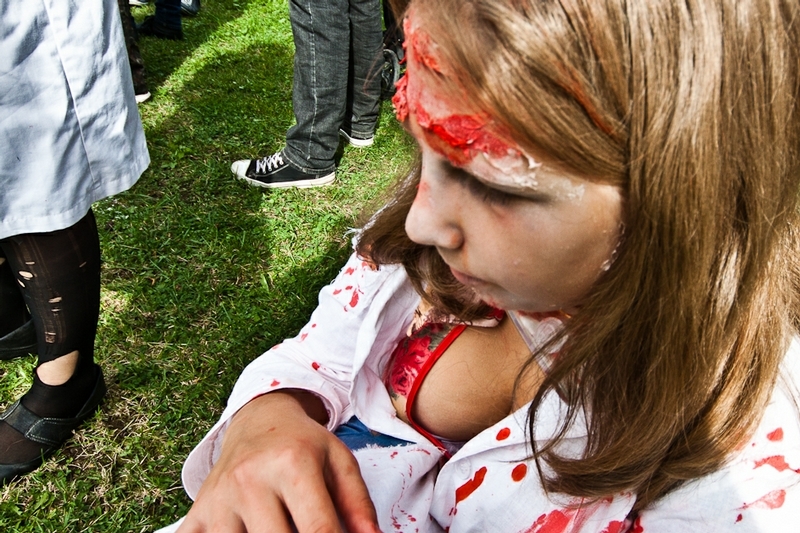 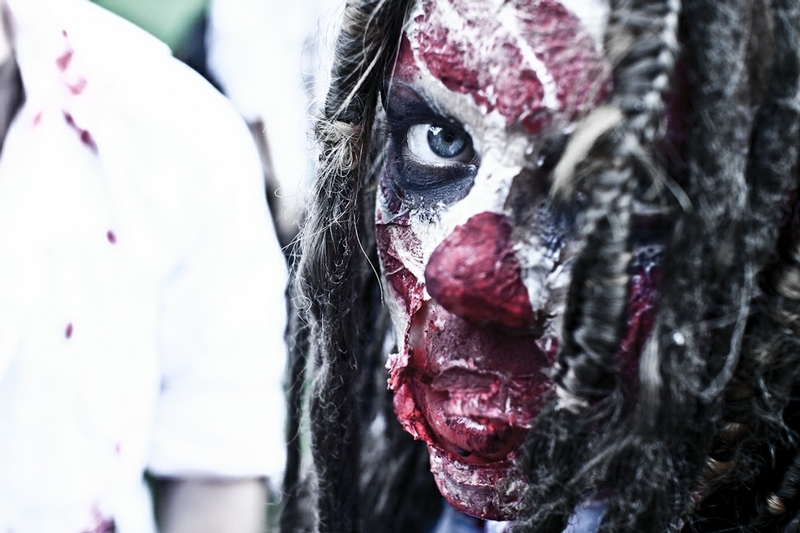 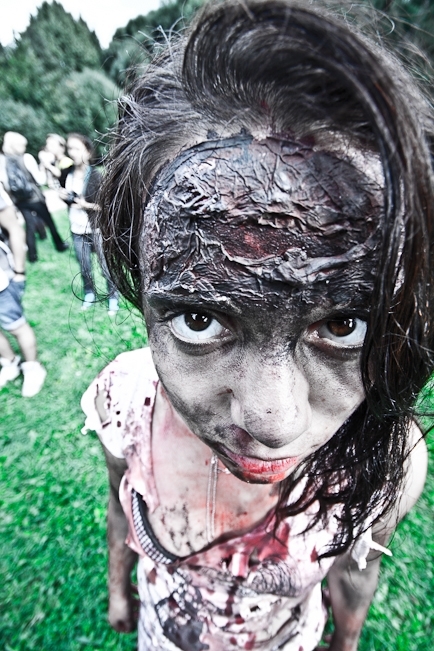 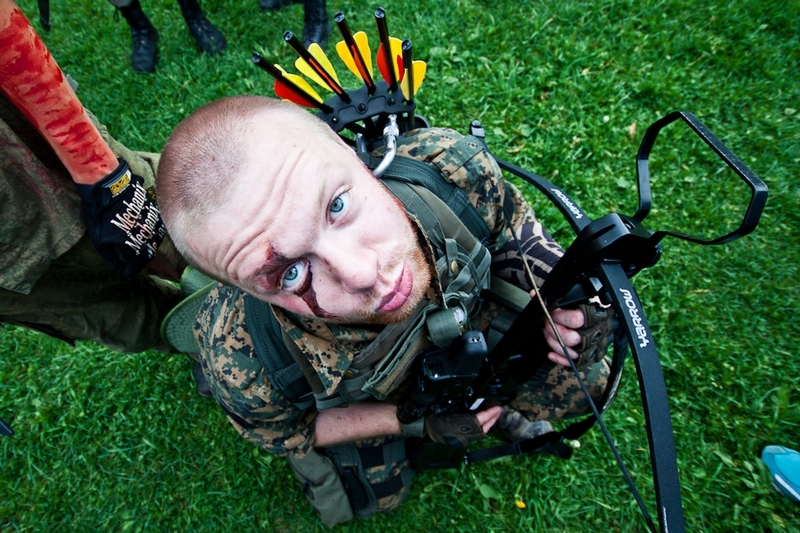 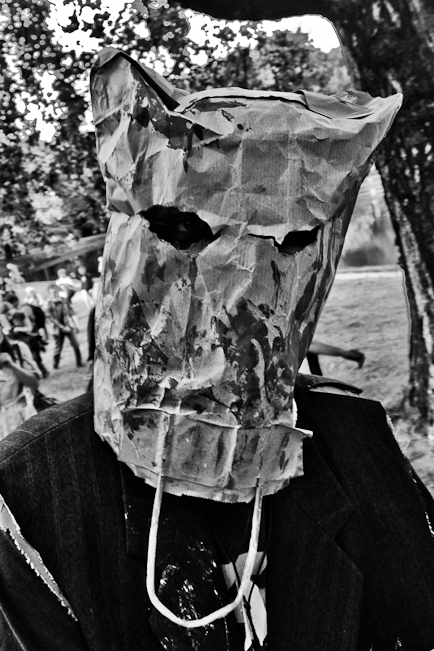 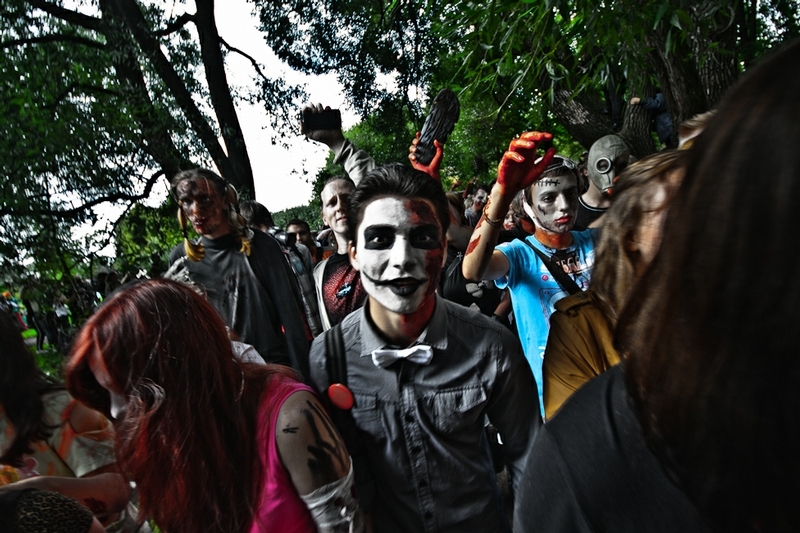 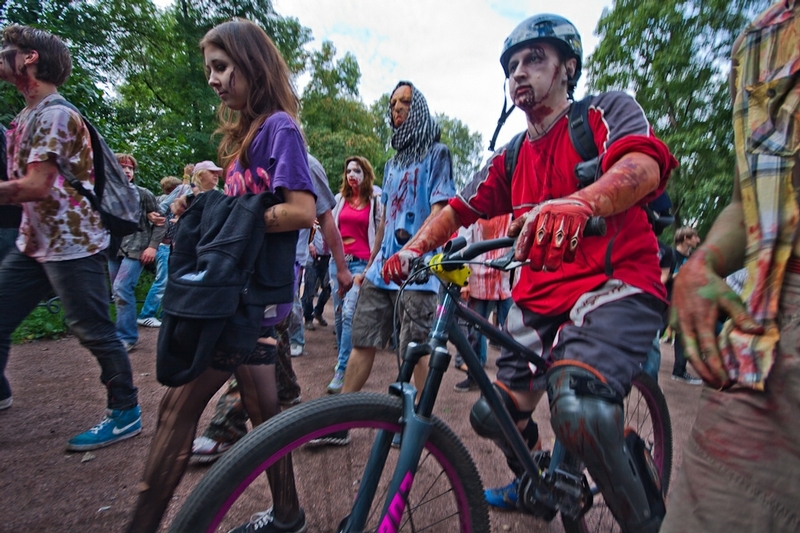 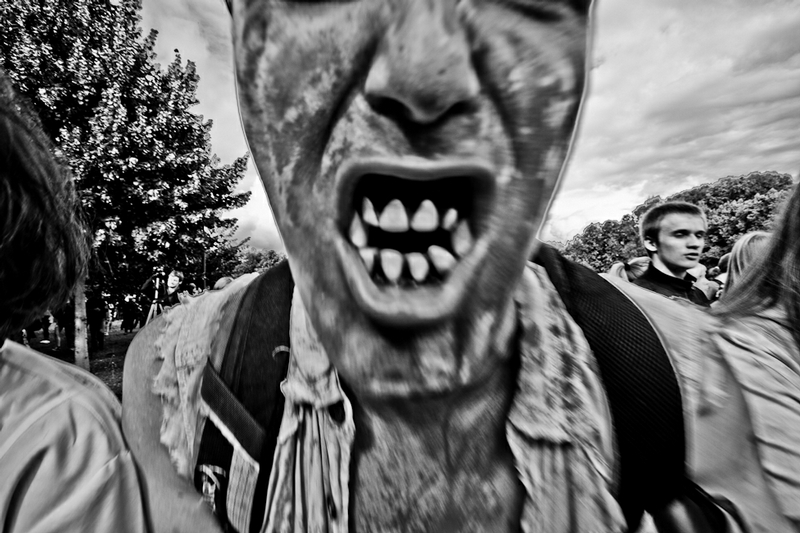 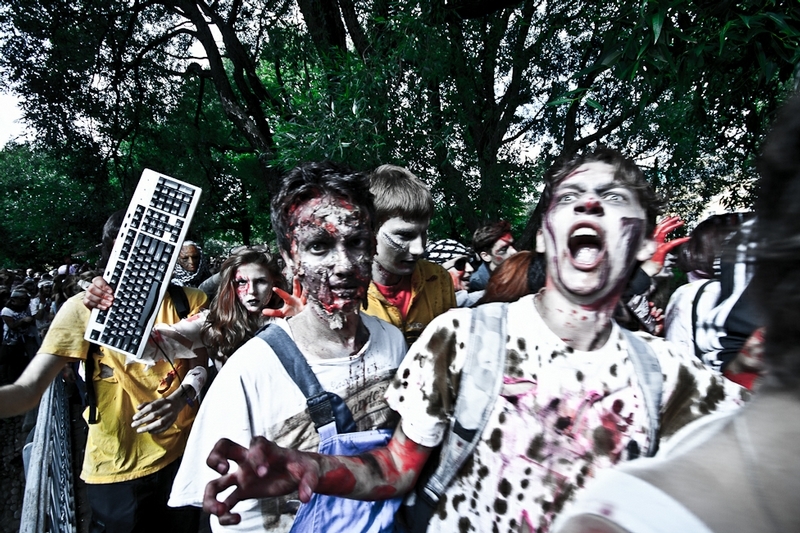 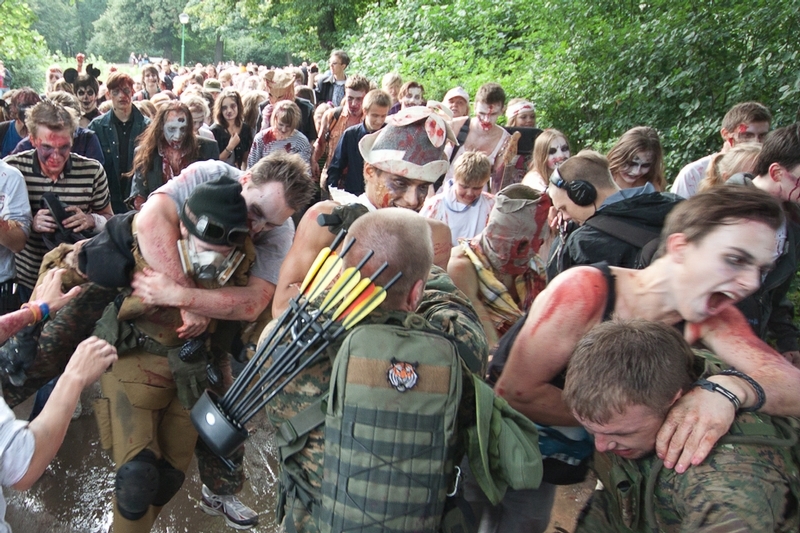 Saint Petersburg became the city of zombie last weekend. 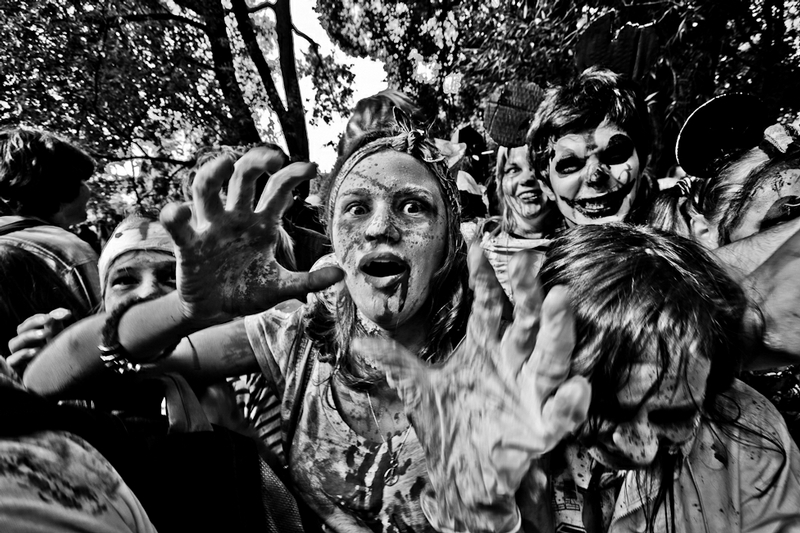 Children and faint-hearted elederly people would better have stayed home! 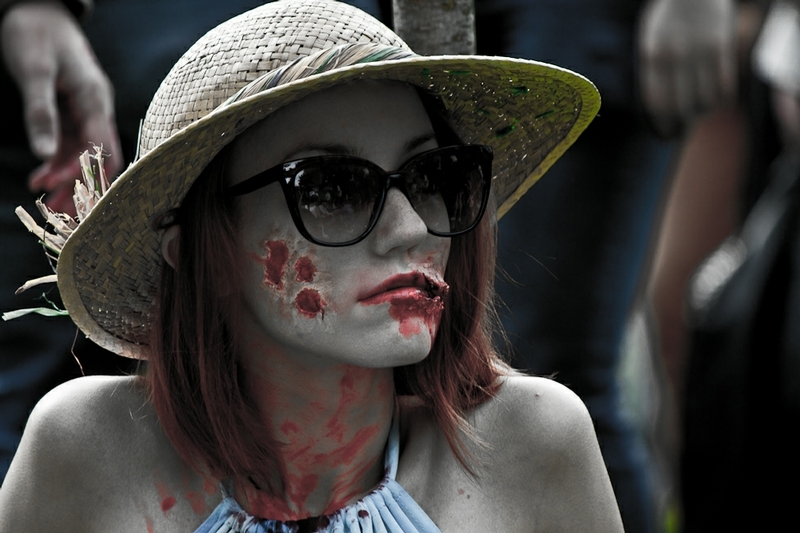 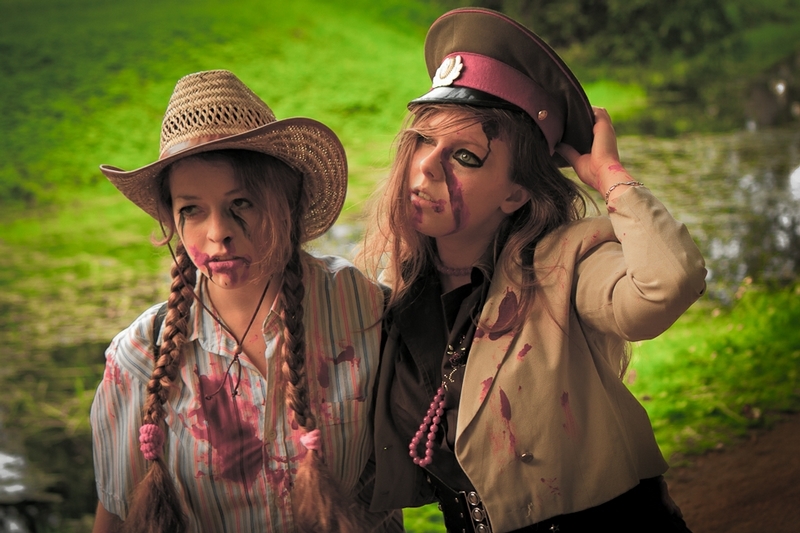 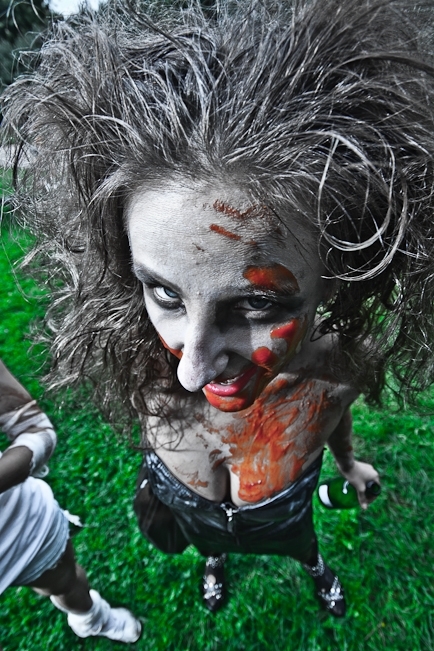 They say the most exciting part worth visiting and taking those photos were the lady-zombies. 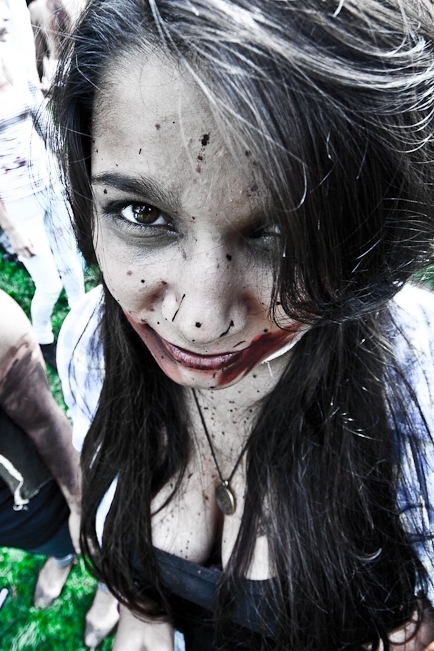 2) Nice, but could be better! 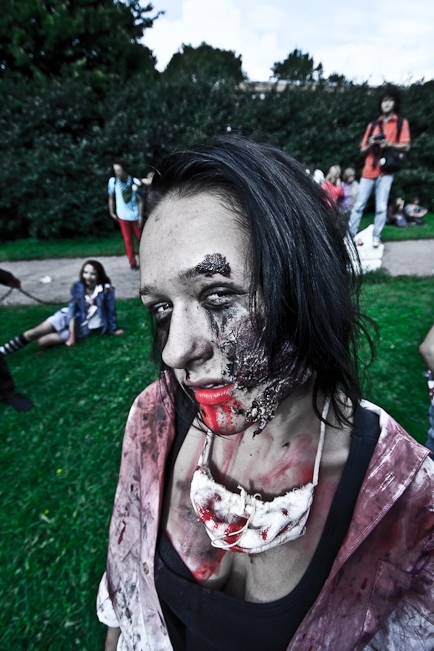 3) Help me, my makeup has smeared! 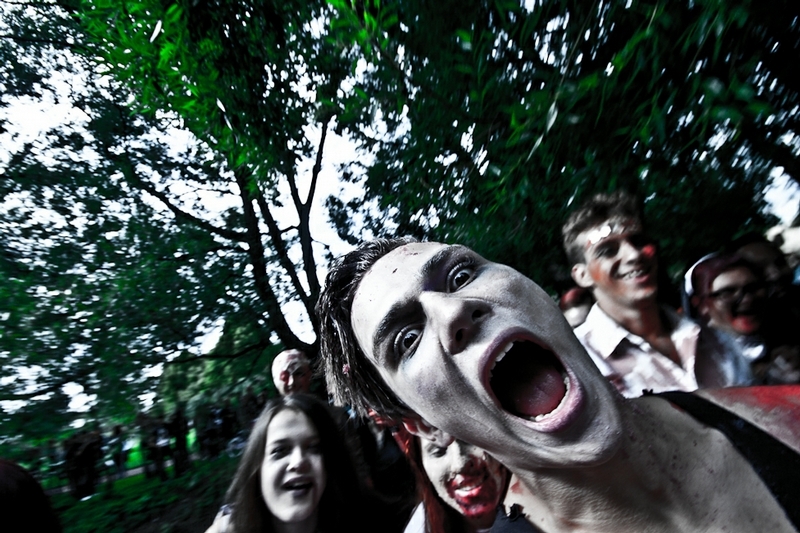 By the way, I’ve just seen a brain-eater in the window! 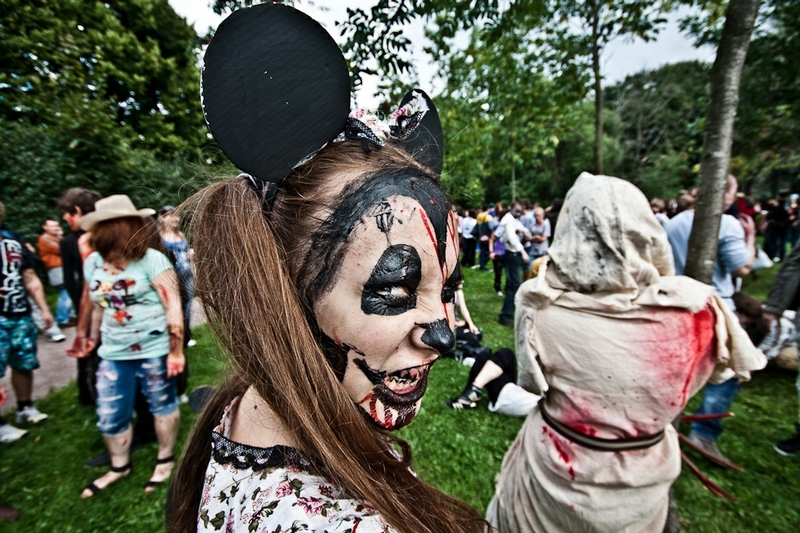 Well, I still love Goth Girls with Panda Bear Makeup! 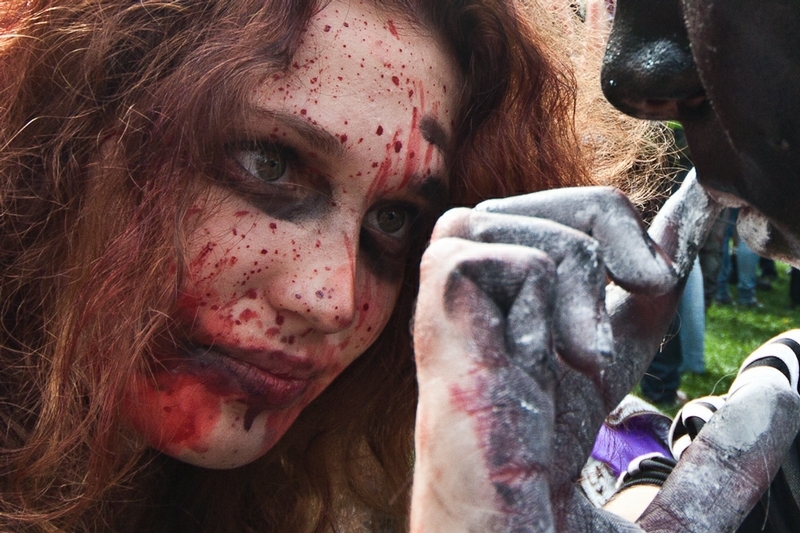 Some truly hot Zombie Girls here. 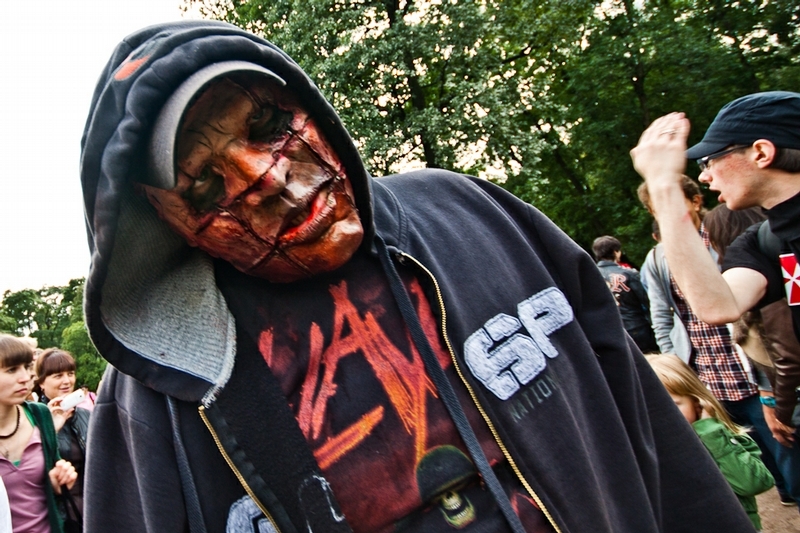 Nice to see ER again. 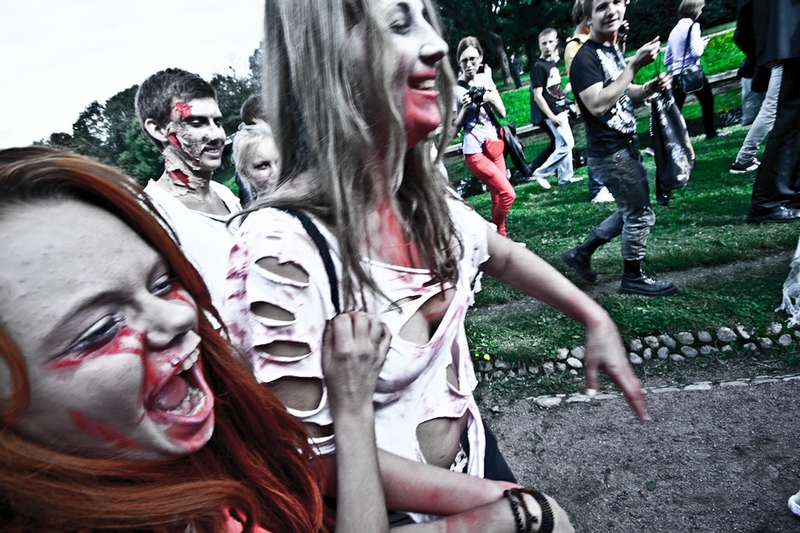 So dressing up and having some fun and a few laughs is sick to you then? 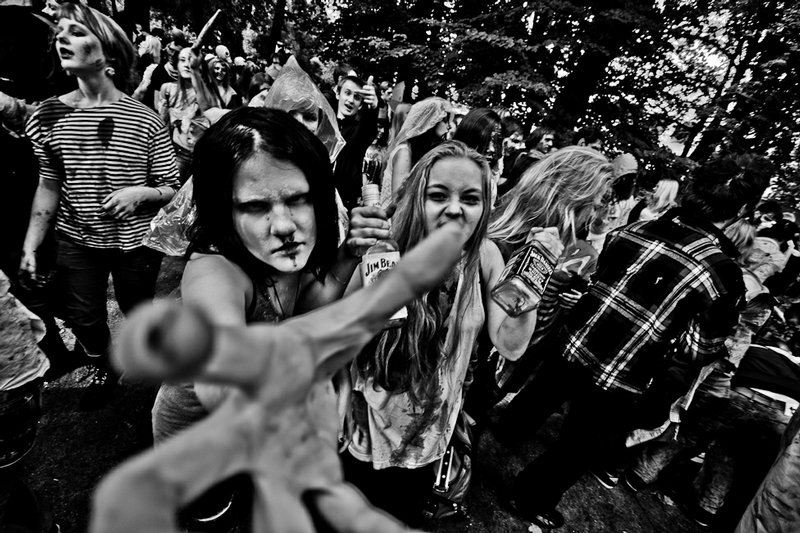 How corporations (and politicians) view the masses. 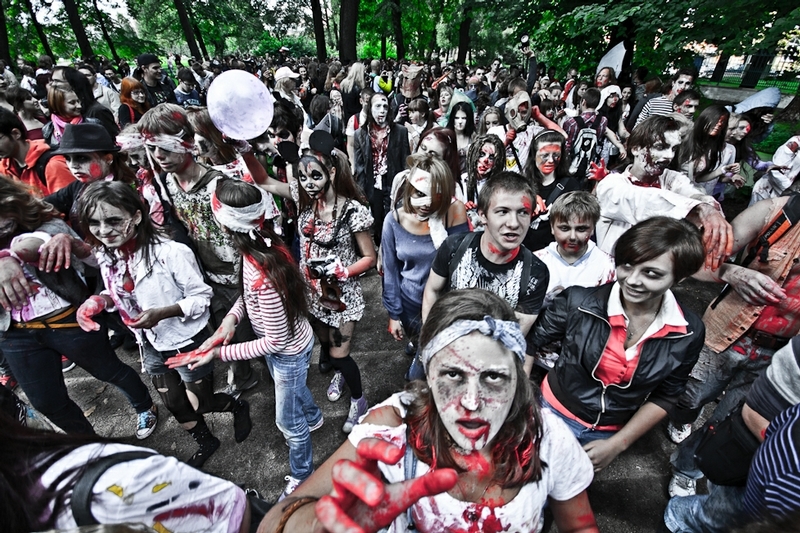 The rest of the world has abandoned this stupid fad long ago – please try to keep up Russia! 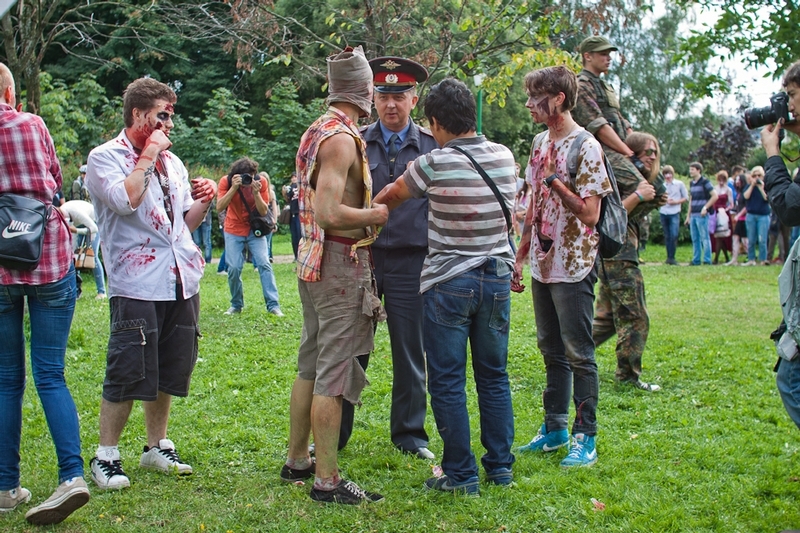 Is this after they are treated at a Hospital in Russia??? 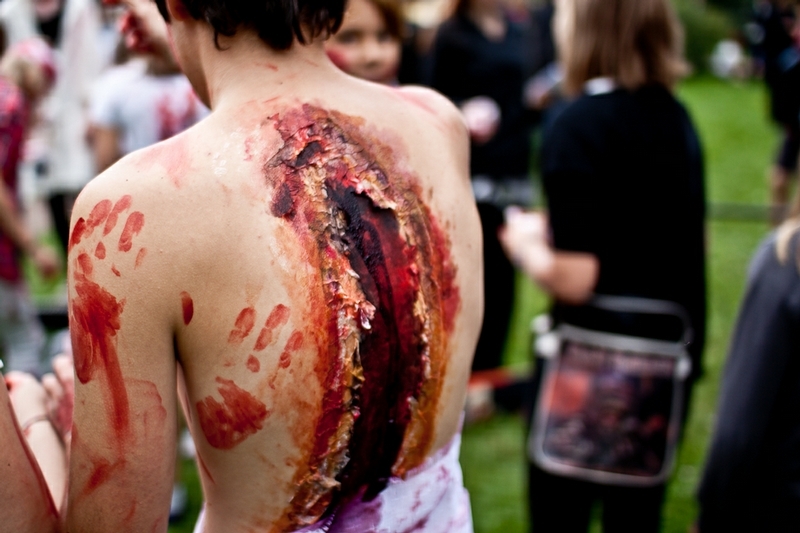 Naw, this is an implementation of Romney-care. 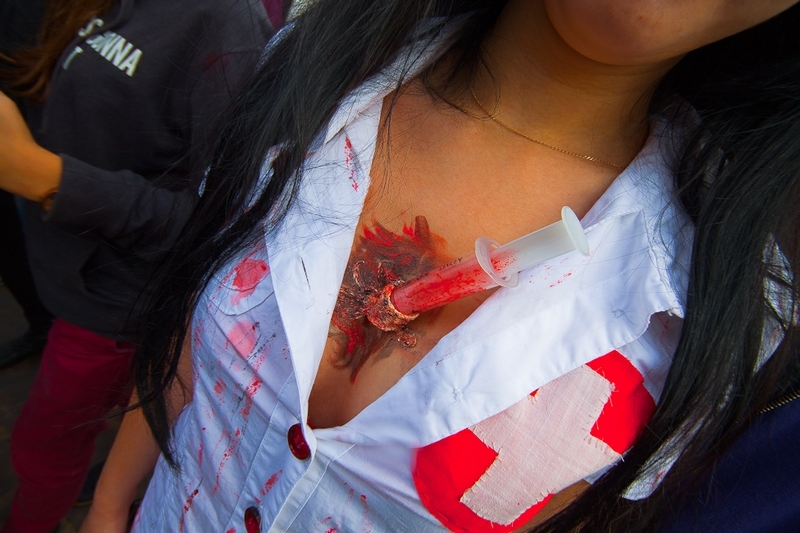 No, only in US Hospitals if you are unemployed and pennyless. 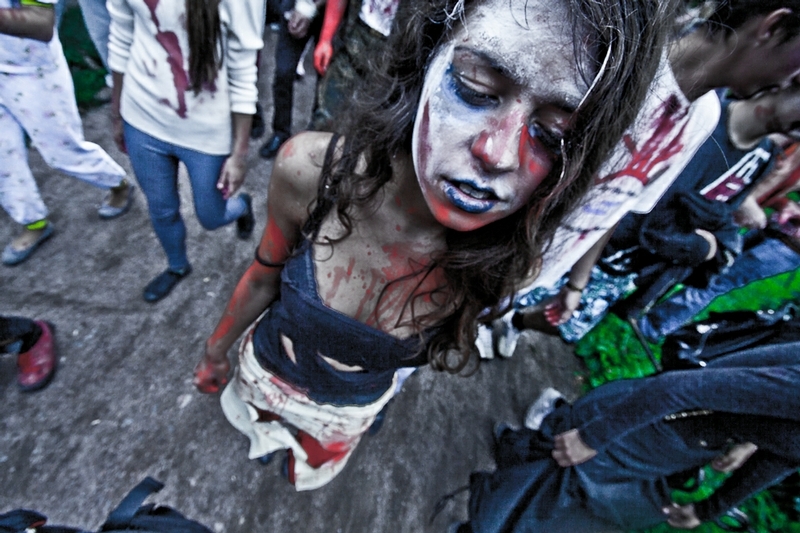 If you can’t pày, you turn into a living dead.